Asbestos is a common and natural fiber utilized in the construction of buildings for its fire resistance, insulation and durability. However, researchers have noted an increased risk of lung disease with prolonged exposure to disturbed asbestos-containing products. So, many asbestos products are now banned. You still need to consider asbestos testing when making changes to your residence or commercial building. The use of asbestos is still legal, though restricted and regulated. 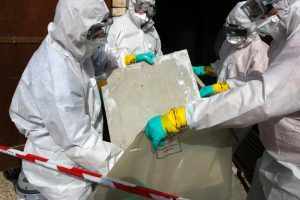 Some asbestos products are still allowed in building materials, which commonly include siding and roofing shingles, vinyl floor tiles and pipe insulation, among others. Homes built before 1978 need to be tested for asbestos. If you go ahead with renovation without testing, you may put your health at risk and face fines. What Health Risks May Occur With Asbestos Exposure? Products that contain asbestos should not crumble. If they do, you may experience health concerns involving your lungs. When asbestos products break down and are disturbed, the thin fibers can drift throughout the air for days. When you breathe these fibers in, they attach to the lining in your lungs and can lead to serious diseases like asbestosis, mesothelioma and lung cancer. You can typically find asbestos in your siding, walls, insulation and floors. If you alter a structure built prior to 1978, you risk disturbing a significant amount of asbestos. You should always get a consultation and asbestos testing before you make alterations to your home or business. Why Else Should You Test For Asbestos? ECOS Environmental asbestos repair experts can tackle any asbestos removal and repair projects. You need asbestos testing if you plan to demolish a commercial or residential blending. Have a professional come in if removing more than 32 square feet. Please test if removing more than 50 linear feet. Test if removing more than the equivalent of one 55-gallon drum of any material besides concrete, breaks, wood or steel. Have a professional come in and test if removing more than 160 square feet. Please test if removing more than 260 linear feet. Don’t start renovating if you have concerns regarding asbestos. It’s better to be safe, especially when you’re working with cracking or crumbling walls. General wear-and-tear can also mean damage to asbestos. Those dangerous fibers could cause serious harm to your health when released into the air. You may be wondering how the process works. ECOS Environmental takes samples for analysis to see if they contain ACM — a nice acronym that stands for asbestos-containing materials. 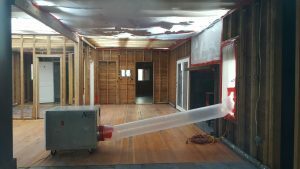 This first phase determines if you need an abatement, completely removing all disturbed asbestos-containing materials. A non-detect result does not require an abatement. However, if the test comes back between zero and one percent, then ECOS Environmental will go ahead with an OSHA abatement. 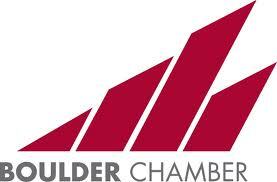 If the results are over one percent, we will need to obtain a permit from the Colorado Department of Public Health & Environment for a Regulation 8 abatement. You need asbestos testing to identify the presence of ACM. Keep in mind that materials containing asbestos are generally safe if not disturbed or damaged. It’s better to know for sure than deal with the health consequences later. Find out the “erected on” date the building to learn about the possibility of it having ACM. Once again, any structure built before 1978 necessitates getting tested for asbestos. Still feeling doubtful? It’s best to contact the qualified professionals at ECOS Environmental to take samples and analyze them. If You Need Hail Damage Cleanup and Repairs, then Call ECOS On 888-375-3267. Most importantly, We are open 24/7, local, and respond quickly saving you time and money. Few things can cause worse damage to your property than hail. It can cause dents and dings that can affect the life and durability of your property. Alternatively, small-sized hailstones that are dense enough can even puncture a home or commercial property. This can expose residents to unwanted elements of the weather and allow the unwanted entry of pests and animals. Colorado Is A Major Part of Hail Alley & geographically sits east of the Rockies where Colorado, Nebraska, and Wyoming all meet. This geographical area is prone to some of the most violent & frequent damaging hail storms in the United States going back decades. Given the severe weather in Colorado, hailstorms are a common occurrence. In fact, hail in Colorado is worse than other parts of the United States. Why? According to Paul Schlatter, National Weather Service Meteorologist, on the basis of a calculation of kinetic energy Colorado hail is about 8% more damaging. Both the frequency and speed of hail are more here, which increases its destructive capacity. 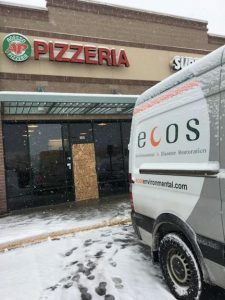 We take photos of the entire process to enable the policy holder and adjuster to understand why the removal of some structural materials was required, what was disposed, and why ECOS employees had to use certain protective equipment. When the roof is considerably damaged, we help fix it by implanting a strong board. This provides sufficient support to the impacted roof and blocks out any holes that may be formed. It secures your property better. A roof tarp is provided to prevent more damage to a leaky roof. A high-quality, waterproof tarp typically lasts a couple of years, depending on the slope of the roof. It gives you time to repair and re-shingle a badly leaking roof. Our temporary weatherproofing offerings help mitigate the impact of intense hailstorms. These stronger structures provide total shielding from the elements at a greatly lower cost than what is required to rebuild or replace the roof. A hail storm will likely cause a lot of debris to accumulate on your property (e.g. pieces of your roof, gutters, siding, etc.). ECOS removes debris to return your property to pre-loss conditions. We take photos to document the debris that we remove for your insurance carrier. Most importantly, we remove any broken glass from the outside of your property as this is one of the biggest safety concerns we immediately address on site. If you have a leaky roof after the last hailstorm, there are chances of water not just seeping into your roof but also the walls. When the water remains trapped in the walls for a prolonged period, it leads to the infestation of mold – causing health hazards. We take all measures to relieve this condition so that there is no or minimal water infiltration in your home. We work extremely well with all insurance companies. We take appropriate pictures and document the degree of damage to your property. Our “before” and “after” photographs show the initial damage and repairs to return the property to pre-loss conditions. Most importantly, ECOS works hand-in-hand with your insurance carrier to cover the scope of work we perform on your property. Finally, ECOS will notify you immediately whenever we find a coverage issue to discuss the available options at hand. Whether your property is residential or commercial, we can repair and replace the respective roofs. Commercial roofs cover a larger size of the building and are typically flat or low-sloped. Residential roofs, on the other hand, have less concern pertaining to structural factors. No matter what the requirement, we have specialized experience with all kinds of roofs. 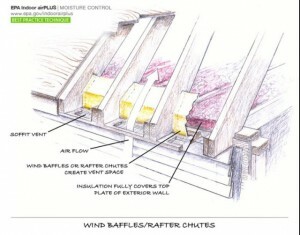 It is quite common for hail to puncture windows, skylights, and atriums. This necessitates total replacement. We take the exact measurements and ensure top quality structures to fit in so that your property looks exactly as it was prior to the damage. The adverse effect of hail leaves scratches, marks, and dents on exterior structures. This can visibly spoil the beauty of the property. While commercial facades and awnings are a great contributor to the aesthetic look of your home or workplace, gutters are important for ensuring hygiene. ECOS will replace or fix broken gutters to help protect your property. A hail storm can definitely damage your exterior lighting and exterior signs. For example, an impacted sign can obstruct your driveway, or a broken exterior light can make it difficult for you to travel after sundown. Property owners will want to fix the damages to these structures. We highly recommend that you hire a professional to fix damaged exterior lighting and signs. When branches of trees fall over on your property or around it, there can be multiple challenges, ranging from restriction in navigation to accumulation of dirt and grime. Trust us to trim the greenery and remove the unwanted matter where necessary. Severe hailstorms have the capacity to disturb not just one structure but the entire landscape of your home or workplace. This includes all constructions and fixtures in and around your property. We take care to restore the landscape in its entirety so that you no longer feel ashamed of having guests and visitors come over. Are you feeling overwhelmed by problems & need help with your Hail Damage Cleanup and Repairs project? Call ECOS at 888-375-3267 today! As an emergency response contractor, we bring you what is most important – peace of mind. Once again, why Choose ECOS for your Hail Damage Cleanup and Repairs project? ECOS employs trained, experienced, and qualified technicians who are certified restoration specialists. We know the business from both sides – that of the property owner and insurance property. Finally, ECOS will communicate your needs to the insurance company and act as an advocate for you and your property. Hire ECOS for your vandalism graffiti cleanup project. We are open 24/7 & we can respond quickly to your property as a local company. Vandalism & graffiti can be extremely upsetting and frustrating for property owners. It ranges from comparatively minor pranks to severe destruction of property. In Colorado, the official term for this is “Criminal Mischief” and it is one of the most rampant crimes. This typically involves illegally defacing private or public property with graphics and markings without the owner’s permission. At times, it also involves broken window panes or doors that have borne dents and damage. Vandalism graffiti cleanup can be difficult as well as time-consuming. Moreover, if acts of vandalism and graffiti are not attended to speedily, they can lead to increased wear and tear of the property. If there is spray paint or painted graffiti on your property, it is best to start the removal process as soon as possible. This is because graffiti tends to become more permanent and ingrain itself onto the surface. Depending on the kind of graffiti, an appropriate solvent has to be used to remove it. 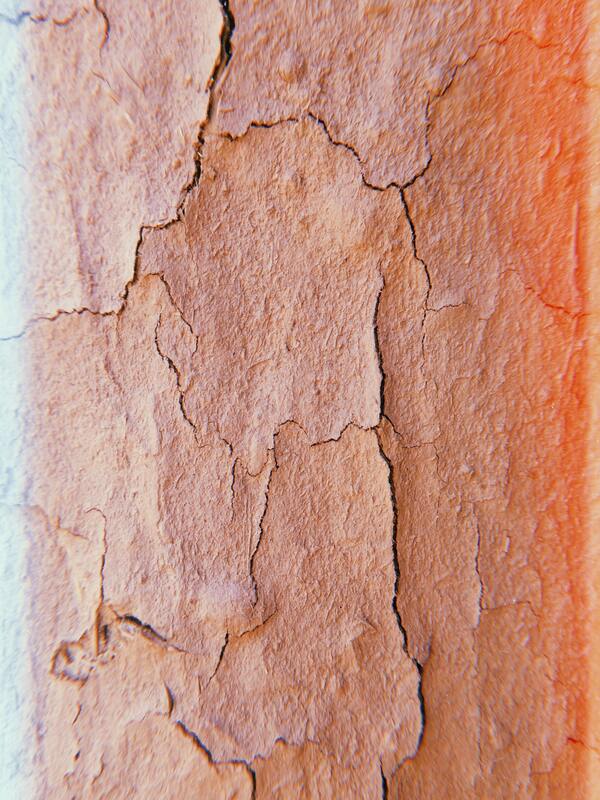 Also, the surface damages and paint material need to be evaluated to restore your property accordingly. 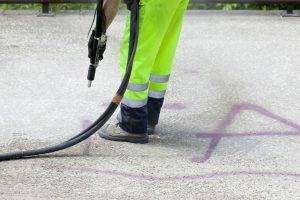 As vandalism graffiti cleanup experts, we make sure that the proper method is applied to get rid of unwanted writing or drawings scribbled onto your property. Often, there is shattered glass that accompanies acts of vandalism and graffiti. The glass can be from that of a broken door or window. There are safety issues to be considered here as jagged edges of glass can easily cut the skin. Even tiny shards can lodge themselves in nooks and corners or get embedded in the carpet. This can cause serious injury to people who walk barefoot, toddlers, and pets. So, if broken glass is not dealt with properly, it can be a severe threat to all. We help thoroughly clean up any scattered glass pieces in and around the premises. Also, if a glass pane is damaged beyond repair, we take necessary measurements and ensure its complete replacement. It is immensely shocking and stressful to return home to find your roof, door, window, or wall damaged in a way that needs immediate protection. If these structures require temporary covering till extensive repair takes place, give us a call. We will send a professional technician right away to board up your property. Plywood boards and screens are generally durable and suitable for both short- and long-term security. The boards can be installed at a whole range of access points and provide a flexible solution. We take care of these board-ups and all related repairs to appropriately protect your property. The walls along walkways and driveways are often subject to vandalism and graffiti. This can make these public places appear dirty and aesthetically distasteful. We ensure that these locations are completely free of all broken concrete and brick particles as well as stones. The place will look just as it did before the damage. As the particles are sometimes very fine, the use of an ordinary vacuum cleaner often does not do complete justice. This is where we come in, using appropriate machinery especially designed for vandalism graffiti cleanup. 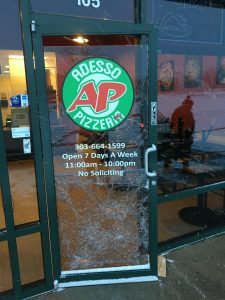 Has your home or office recently been vandalized? Have you found graffiti on parts of your property? Anxious to clean it up speedily? We are committed to providing vandalism graffiti cleanup services to make your life easier. As experts in the field, we bring to you what is most important – peace of mind. We have a live operator on call 24/7 to schedule your project (Monday through Sunday). Our services are available 24 hours a day, 7 days a week, and 365 days a year. We give topmost priority to the health and safety of our clients. Our modern equipment is safe for people, animals, and sensitive materials. Our technicians are friendly and helpful. ECOS has years of professional vandalism graffiti cleanup experience in the industry and are experts. We have no hidden charges and offer competitive pricing. ECOS professionals take “before” and “after” photographs with relation to our cleanup service that record and show the extent of damage to the insurance company (if the affected area is covered by insurance). ECOS Actively Works With Commercial & Residential Customers To Reduce Risks Of Hantavirus Disease By Cleaning Up Rodent Droppings, Urine, and Saliva. ECOS professionals wear full PPE & Respirators to make sure that they are protected from this potentially fatal disease. We have a lot of experience cleaning up rodent droppings, urine, and saliva. ECOS can provide rodent waste removal references on request. Denver resident with hantavirus disease was reported on March 6, 2018 in The Denver Post. The hantavirus disease is a virus typically carried by rodents. It is found in the white-footed mouse, cotton rat, rice rat and deer mouse. Of these, the deer mouse is perhaps the most common carrier of hantavirus. Deer mice excrete hantavirus in their droppings, urine, and saliva and people most usually contract the virus when these materials are stirred up, making it airborne. Persons can get exposed to hantavirus disease by breathing contaminated dust post cleaning or disturbing rodent droppings and nests. They can also contract the virus by working and living in rodent-infested settings. It commonly leads to Hantavirus Pulmonary Syndrome (HPS). HPS is essentially an infectious disease with flu-like symptoms that can advance rapidly to potentially severe breathing problems. The Centers for Disease Control and Prevention (CDC) report gives us reason to worry. As of January 2017, there were a total of 728 cases of Hantavirus infection reported in the United States. It included people with medically confirmed hantavirus infection with either HPS or non-pulmonary hantavirus infection. Out of these statistics, from 1993 onward, 697 cases occurred after the first identification of HPS. The remaining 31 cases were identified retrospectively. Notably, 36% of all reported HPS cases claimed lives. 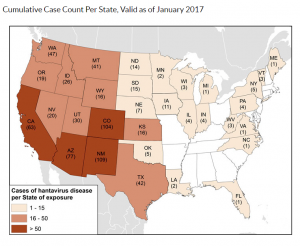 As a resident of Colorado, you want to especially look out as the diagnosis of a Denver resident with hantavirus was reported on March 6, 2018 in The Denver Post. Though the disease is usually found in rural and suburban regions, this person got infected in Denver itself. As the individual did not leave the county, investigators were certain that the virus was picked up somewhere in Denver. Such an occurrence is rare, but it also rings an alarm for people in Colorado. Hantaviruses are primarily transmitted to people via the aerosolization of viruses shed in the excreted matter of infected rodents. For instance, a broom used to clean up mouse droppings in the attic may usher into the air tiny particles of stool containing hantaviruses, which you can then unknowingly inhale. Once you breathe in hantaviruses, they reach your lungs and begin invading tiny blood vessels named capillaries, eventually causing them to leak. Your lungs then tend to flood with fluid, which can spark any of the respiratory problems related to HPS. At present, people infected by the North American strain of HPS are not really contagious to others. However, certain outbreaks in South America have witnessed transmission from person to person. How Can You Prevent Contraction of Hantavirus? As mice can squeeze through spaces and holes which are as wide as 1/4 inch or 6mm, you want to block all holes with cement, metal, or wire screening. Keeping the place free of food is an excellent way to keep out deer mice, as they mostly intrude seeking food. You want to maintain clean floors and counters which are devoid of food crumbs. Also, wash your dishes promptly and make it a point to store your food, including that of pets, in tight, rodent-proof containers. Garbage cans also need to have tight lids that cannot be easily moved by mice. You want to clear grass, brush, and all junk and unnecessary material from the building’s foundation. When there is lack of material for mice to nest and breed, there will be lesser chances of them infesting the premises. If you suspect deer mice to have already been frequenting the premises, setting up traps is a great way to do away with the menace. You can lay spring-operated traps along baseboards. Poison-bait traps can also be used. However, it has to be done cautiously as poison has the possibility of harming people and pets as well. Asbestos Removal Vail Colorado: Call ECOS On 970-476-3267 To Hire Vail’s BEST Asbestos Removal Company. For Over 13 years, ECOS Has Helped Many Vail Residents Safely Remove Asbestos In Their Commercial Buildings & Residential Homes. ECOS Can Provide Referrals Upon Request! Asbestos was once seen as a wonderful fire retardant in construction, but people who worked with the material consistently got sick. Nowadays, the names of asbestos-related conditions, such as mesothelioma or asbestosis, are recognizable to most people because of wide-spread press coverage that came about in the 1960s and 1970s. Asbestos is a fibrous material widely used as a building material and an adhesive in floor and wall tile until the latter part of the 20th Century. Known for its high fire and heat resistance, it was once thought to be ideal as insulation. In the early 1900’s, its unhealthful qualities were suspected but not proven until a midway through about midway into the last century. Asbestos-based materials are still found in some old structures – abandoned and occupied – but the health risk stems from its airborne particles not from the presence of the material in a structure; even so, the presence of asbestos is still seen as a potential hazard. If the material ever becomes damaged, the risk of a health issue is greatly increased. Safely abating its presence in your home before this happens can avoid serious problems later. Once again, Call ECOS On 970-476-32767 To Hire Vail’s BEST Asbestos Removal Company! For More Information Visit The ECOS Website Page Called Asbestos Removal! 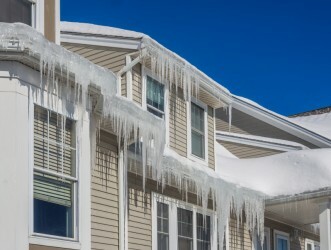 ECOS Experts Can Help Prevent Further Damage To Your Home Or Office Caused By Ice Dams. We Specialize In Restoring Structures Damaged From Ice Dams. We Have 10+ Years Industry Experience. Ice Dams occur when melting snow has no where to drain because ice has formed at the edge of your roof. This ice prevents melting snow from draining into the gutter system or off of your roof shingles. When water forms but does not drain into the gutter system or off of the roof that is when a potential ice dam problem begins. This usually occurs when the heat of the home has escaped due to improper insulation. ECOS sees many ice dam claims in Colorado because the temperatures fluctuate dramatically. After a heavy snow storm, the snow will begin to melt as the temperature rises during the day. When temperatures drop below freezing this freeze leads to ice building on top of the gutter or along the edge of the roof. 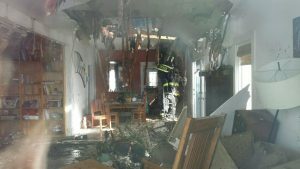 The next day, heat from inside the home causes more water to form. The water is not able to travel downward, so the water travels up the roof line into the shingles. Eventually if the water continues to sit on your roof, then it eventually will enter your property. It is very important to not have standing water inside your property for an extended period of time. Roof Pitch: The steeper the roof then the less likely ice dams occur at your property. If your home has low roof pitches, then you should be more concerned about ice dams forming on your home and leading to water damage inside your property. Bad Idea: Hiring an inexperienced contractor that uses blunt instruments to try to fix the ice dam problem now but creates more problems later. If your contractor suggests using a blunt instrument such as an ice pick, hammer, etc., then we would strongly suggest that you call ECOS immediately. This same contractor is more than likely going to remove important segments of your asphalt roof now leading to more costs later. ECOS receives a lot of customers during the spring that had other contractors “fix” their ice dam problems during the winter. Good Idea: Free consultation with ECOS about your property and making sure that ice dams do not damage your property! Below, we highlight the EPA image for “Best Practice Technology.” This image is the EPA recommendation on the insulation of your roof to prevent ice dams.